बुद्धको जन्म भएको शीला, लुम्बिनी. ↑ L. S. Cousins (1996), "The dating of the historical Buddha: a review article", Journal of the Royal Asiatic Society (3)6(1): 57–63. 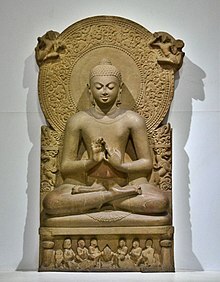 ↑ The Date of the Historical Śākyamuni Buddha (२००३) सम्पादन: A. K. Narain. B. R. Publishing Corporation, New Delhi. ISBN 81-7646-353-1.